Koots currently has a special 6 course degustation on offer for either lunch or dinner and being as we are, fond of this form of dining, we've toddled off to sample the fare. 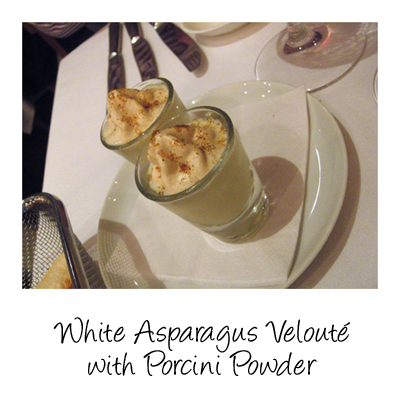 This was an alteration on the menu replacing the chilled artichoke and cep cappuccino. Creamy yet still light imbued with the flavour and aroma of porcini. It certainly gets those taste buds working. 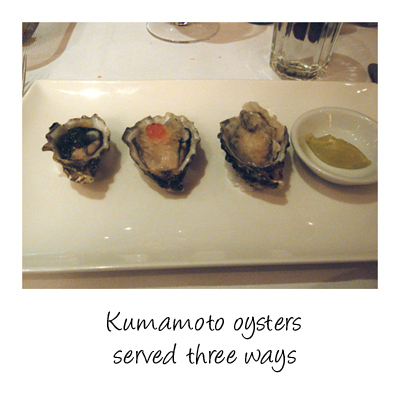 Kumamato is undoubtedly my favourite oyster and it is pretty high up on Paalo's list too. From left to right they are served with wakame, a vodka, ginger & lime granita with salmon roe and tempura. 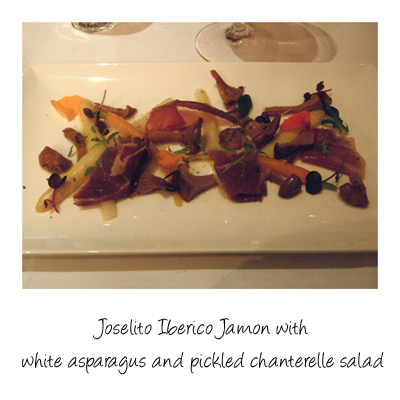 Top notch ingredients presented with deft touch - you don't have to sacrifice flavour to produce a lighter style of dish. The quinoa and freekeh salad is tossed with a pomegranate dressing giving it those slightly sweet notes. 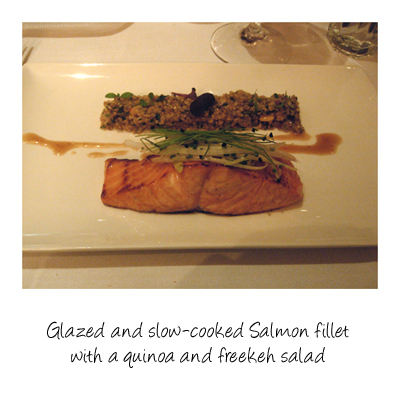 The flavour works well with the salmon. 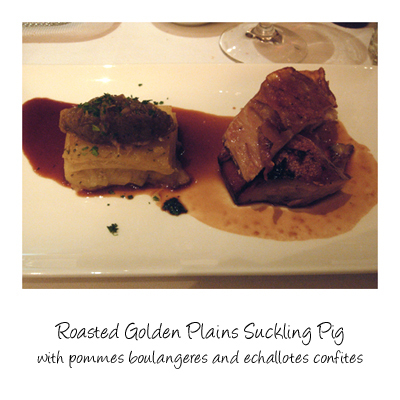 The suckling pig was amazing, tender flesh with the skin so fine it was almost like paper, the roasting giving it that toffee like texture. 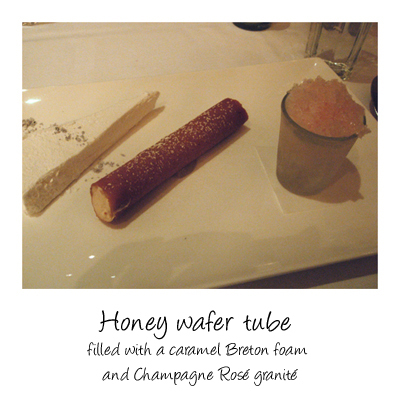 That tube filled with caramel breton foam is so good it makes your eyes roll into your head. Restaurant closes from Christmas Eve and re-opens on Thursday 14th January 2010 for dinner.